Critical to safe operations, the cover keeps dirt, contamination, and insects from entering the pitot tube. 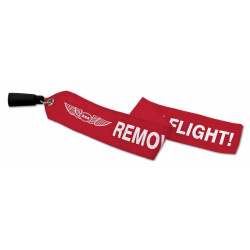 A "remove before flight" streamer hangs off the cover as a prominent preflight reminder to pilots. The cover uses a heavy-duty plastic material; the 2" x 17" banner is bright red with white screen-printing for maximum visibility. Critical to safe operations, the cover keeps dirt, contamination, and insects from entering the pitot tube. A "remove before flight" streamer hangs off the cover as a prominent preflight reminder to pilots. The cover uses a heavy-duty plastic material; the 2" x 17" banner is bright red with white screen-printing for maximum visibility. They are vented to prevent pressurization of the pitot-static system. Critical to safe operations, the cover keeps dirt, contamination, and insects from entering the pitot tube. 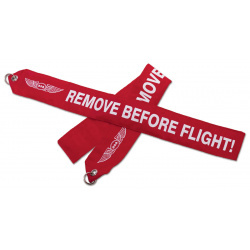 A "remove before flight" streamer hangs off the cover as a prominent preflight reminder to pilots. 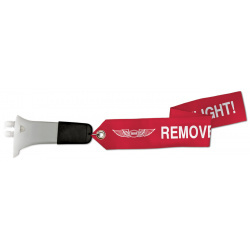 The cover uses a heavy-duty plastic material; the 2" x 17" banner is bright red with white screen-printing for maximum visibility.Critical to safe operations, the cover keeps dirt, contamination, and insects from entering the pitot tube. 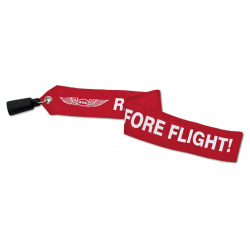 A "remove before flight" streamer hangs off the cover as a prominent preflight reminder to pilots. The cover uses a heavy-duty plastic material; the 2" x 17" banner is bright red with white screen-printing for maximum visibility.